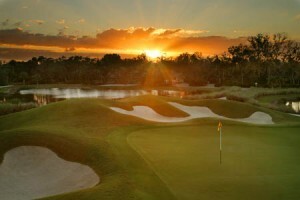 ORLANDO, Fla. – The golf industry has been able to withstand the storm of the recent recession, PGA of America officials said Thursday, in a business report card that reflects the continued value of golf to the consumer as a healthy and recreational activity. The low unemployment rate of PGA Professionals was emphasized as a sign of their commitment to maintain stability at their respective facilities. The current golf business climate also attracted The Royal Bank of Canada (RBC) as the newest Official Patron of The PGA of America, an announcement that highlighted the annual State of the Industry Round Table at the 57th PGA Merchandise Show. The Round Table attracted more than 30 golf journalists to meet with PGA of America President Jim Remy and Chief Executive Officer Joe Steranka. The topics covered included: the current state of the industry; PGA employment; the launch of WE ARE GOLF, a coalition to better communicate golf’s positive messages to governmental leaders; and the new USGA “Grooves Rule,” and its effect on PGA Professionals competing in member and spectator championships. Remy, vice president and general manager at Okemo Valley Golf Club in Ludlow, Vt., said that The PGA’s unemployment rate of 4.3 percent as of Jan. 1, is one of the lowest rates in years. “I think that says something about the stability of PGA Professionals at small businesses in America, because really, golf has more than 16,000 small businesses,” Remy said. “The importance of PGA Professionals at golf facilities is of high importance. Steranka said that the use of such words as “stability” and “resilience” mean different things to the golf industry when compared to other industries over the past two years. “If you would have been the head of any other industry, and said, looking back over 2008 and 2009, would you take the number of customer visits being down 1 percent and revenue down 8 percent? ” asked Steranka. “And my guess is, a lot of the folks, especially in industries that rely on discretionary time and money would say, yeah, shoot, we’ll take that. Golf’s upbeat message during difficult economic times and the game’s premier spectator events, according to one official from The Royal Bank of Canada, helped spark its interest in becoming an Official PGA Patron. Among its unprecedented visibility and marketing exposure at The PGA’s highest-profile Championships, RBC now becomes The Official Bank of The PGA of America and co-presenting sponsor of Play Golf America Days. The Official PGA Patron program is The PGA’s highest level of partnership and designation. Steranka said that RBC, like The PGA’s previous Official Patrons – American Express and Mercedes-Benz – reflects well upon the “health” of golf. “I think to have a financial service sponsor of the magnitude, depth and breadth of the investment that they are making in sports in general, and specifically golf, at this time, is a positive statement about the sports market. It’s a positive statement about golf, and certainly a positive statement about The PGA,” said Steranka. Since 1916, The PGA of America’s mission has been twofold: to establish and elevate the standards of the profession and to grow interest and participation in the game of golf. By establishing and elevating the standards of the golf profession through world-class education, career services, marketing and research programs, the Association enables PGA Professionals to maximize their performance in their respective career paths and showcases them as experts in the game and in the multi-billion dollar golf industry. By creating and delivering dramatic world-class championships and exciting and enjoyable golf promotions that are viewed as the best of their class in the golf industry, The PGA of America elevates the public’s interest in the game, the desire to play more golf, and ensures accessibility to the game for everyone, everywhere.